Area rugs are a great way to add personality and comfort to your living room, elegance to your dining room and softness and style to your bedroom. This week I want to share my favorite tips from Sheely’s on how to incorporate area rugs into your home! Adding the right area rug can make all of the difference and really enhance a room. 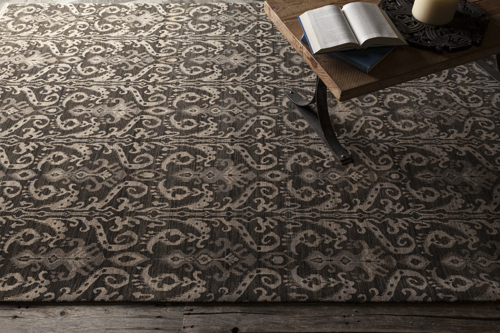 There really is no right or wrong when it comes to rugs, it all comes down to preference. You can choose a rug that sits within the furniture, one that runs half way under the furniture, or a rug that is large enough to extend beyond all of the furniture including side tables. Whatever size you choose, make sure you allow some space for the flooring to show underneath. Rugs are a great way to add elegance and style to your dining room. First, make sure the rug is large enough for all chairs to remain on the rug, even when pulled out. Most dining rooms need at least an eight-foot wide rug. A quick way to measure is to add at least 3 to 4 feet to the length and width of your table. Be bold…patterned rugs work great in dining rooms and serve as a focal point. Add some extra softness and style to your bedroom with an area rug. I hope you found these tips as useful as I did! For more tips and ideas visit our YouTube Channel or check out our website Sheelys.com!